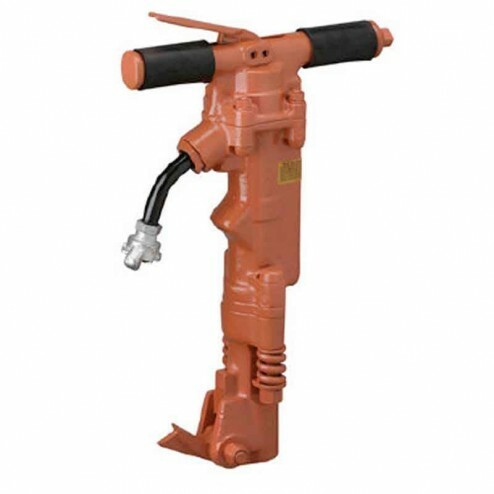 The Model 140A Airgo-line Paving Breaker is a 40 lb class tool. The ergonomically designed handle helps reduce harmful vibration to the hands and arms of the operator. This versatile tool is based on the standard Model 140 the tool being easily converted between the standard or ergonomic styles. No power is lost from the standard tool but does increase efficiency and output due to the reduction in operator fatigue. CHUCK SIZE (in): 1" x 4-1/4"
Chuck Size: 1" x 4-1/4"
You're reviewing: M140A APT Paving Breaker 1" x 4-1/4"